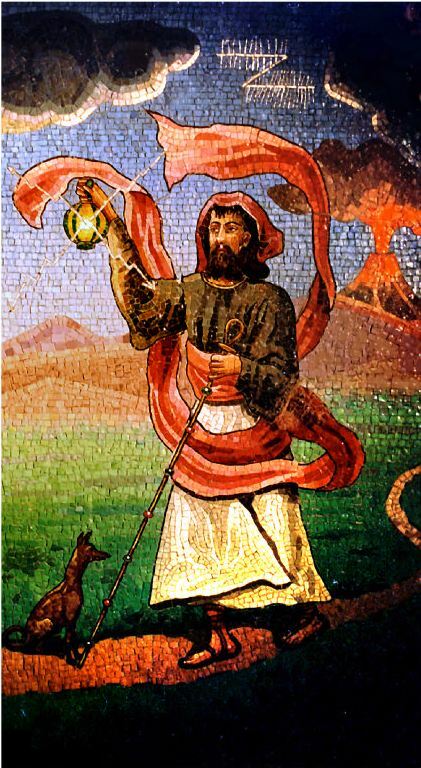 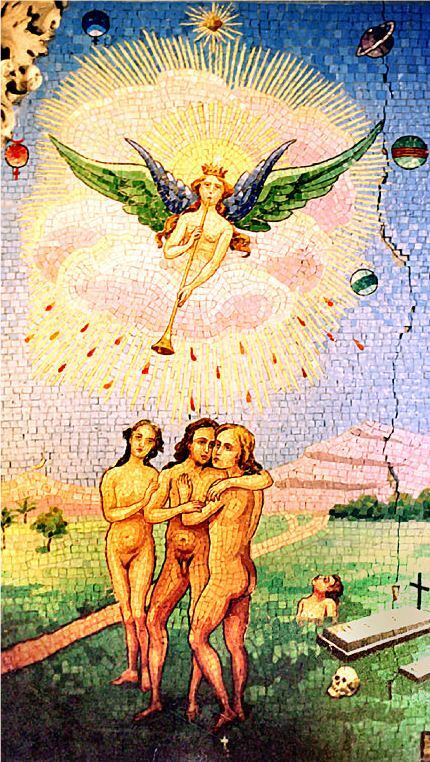 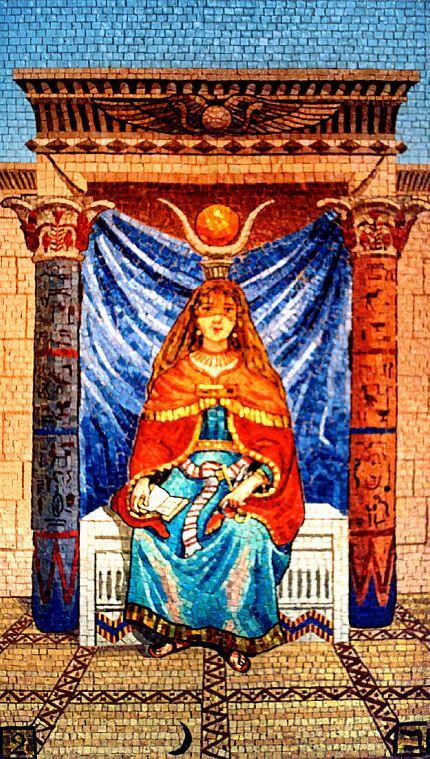 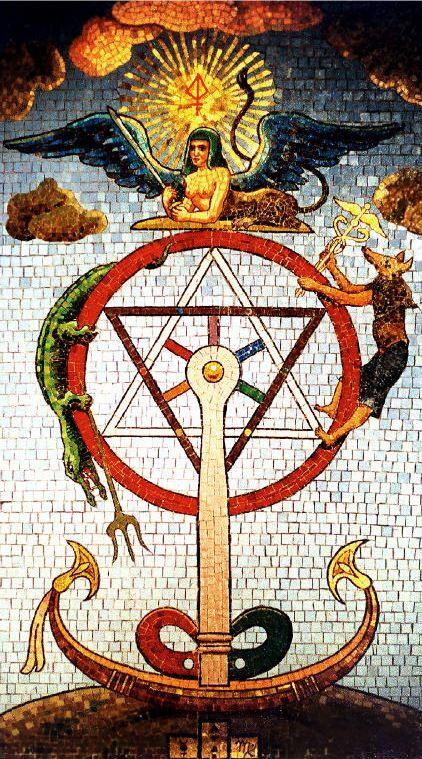 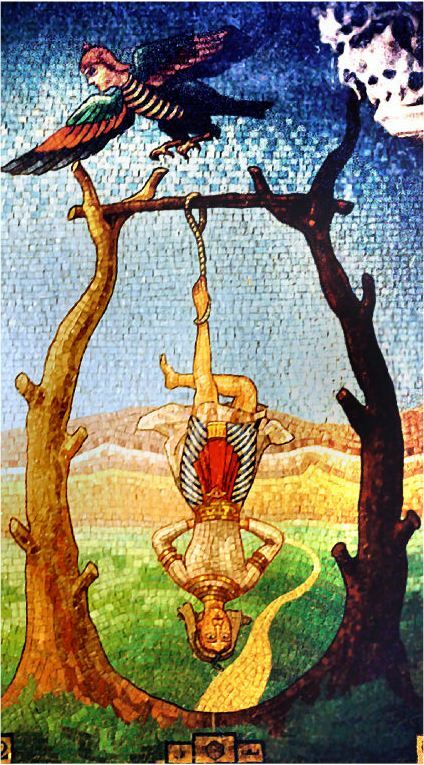 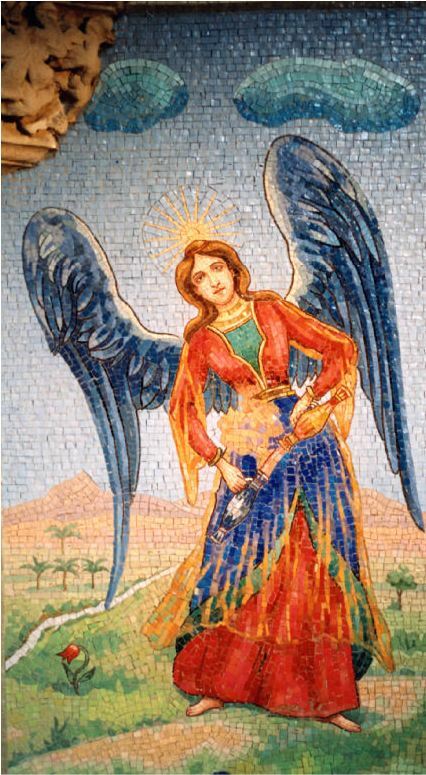 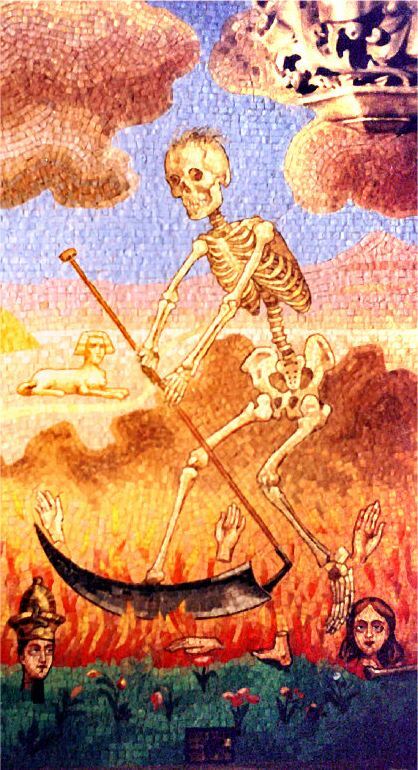 In 1917, Assan Farid Dina (1871-1928), an enthusiast for all things esoteric, commissioned a series of tarot mosaics in the Chateau de Avenieres at Cruseilles in France. 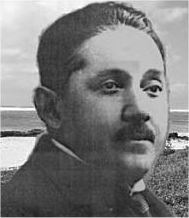 He was an engineer and introduced hydroelectric power to France. 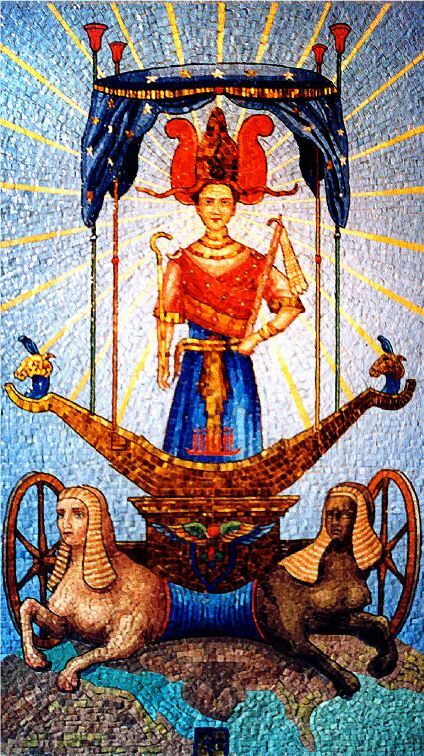 In 1914 he married the wealthy American heiress, Mary Shillito. 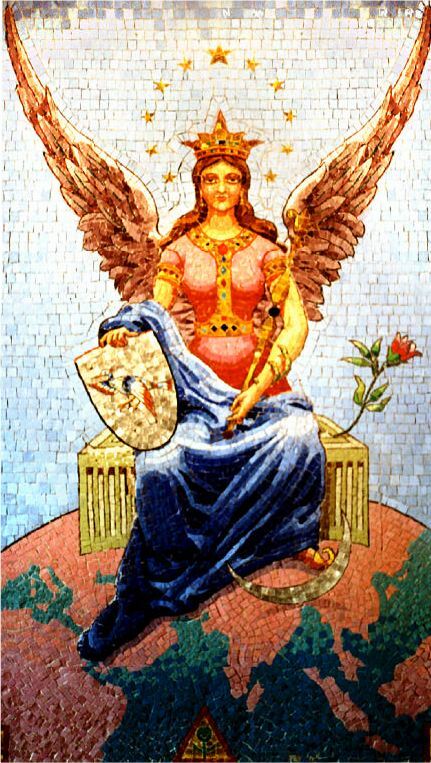 In 1913 she had completed the construction of her neo-gothic "castle" at Avenieres as a monument to her sister who had died a few years earlier. 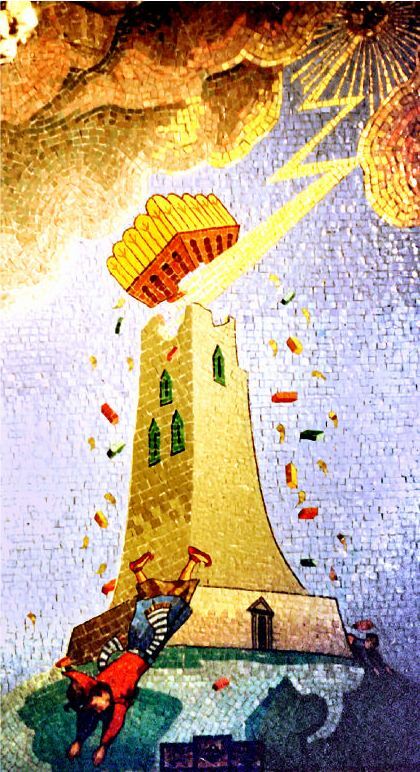 In 1917, Dina completed construction of the castle by the creation of a power plant. 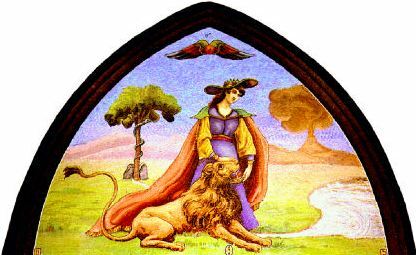 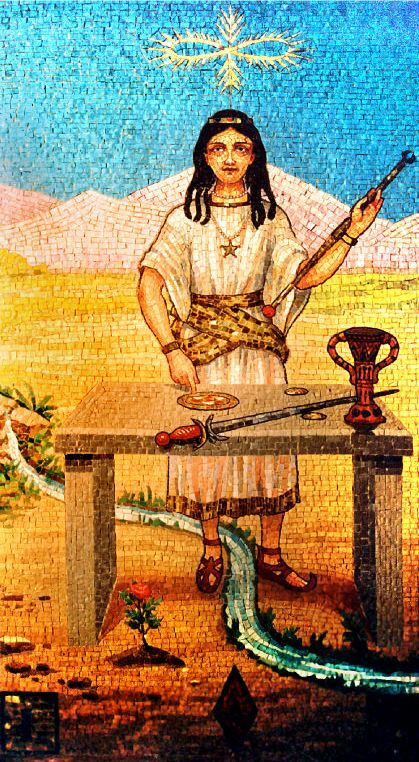 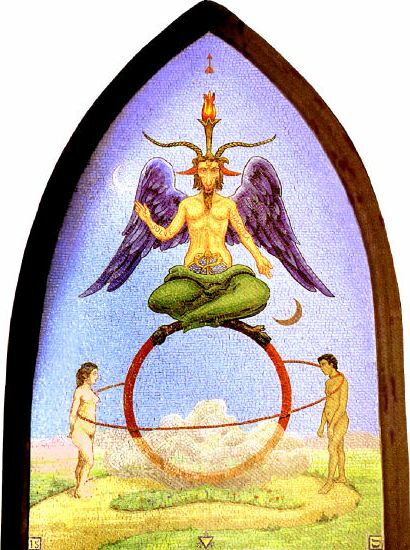 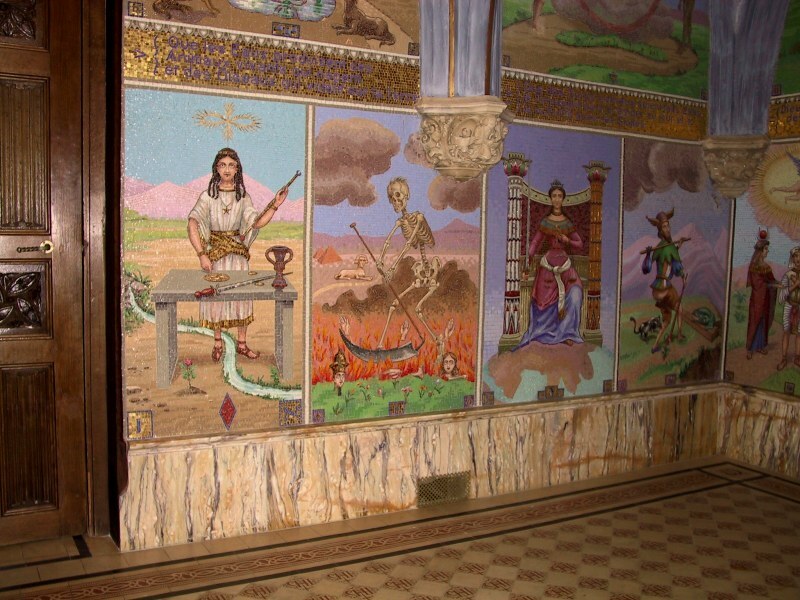 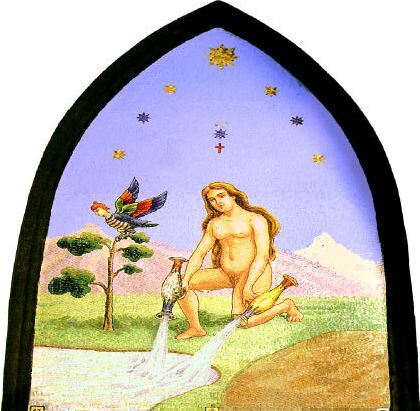 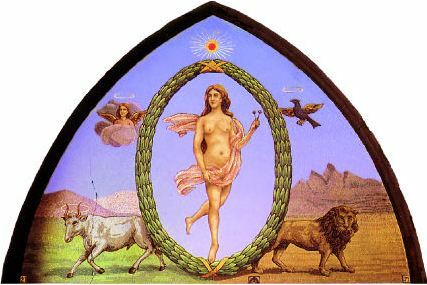 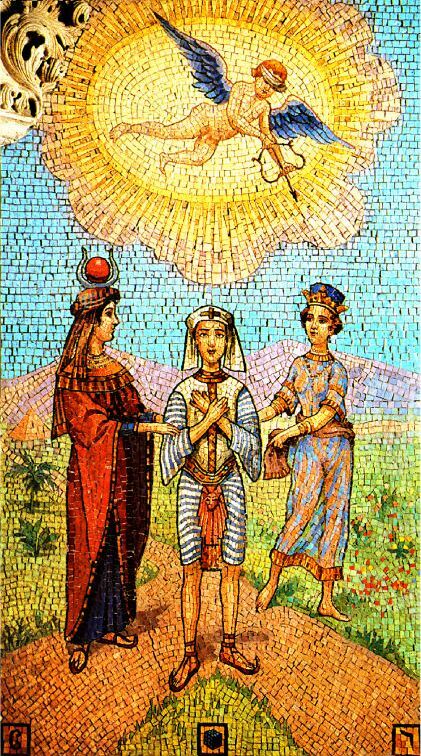 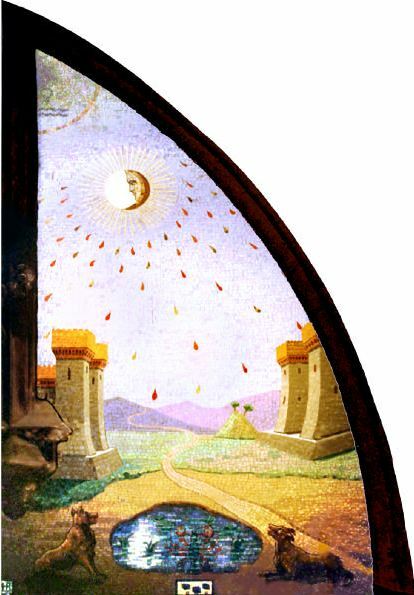 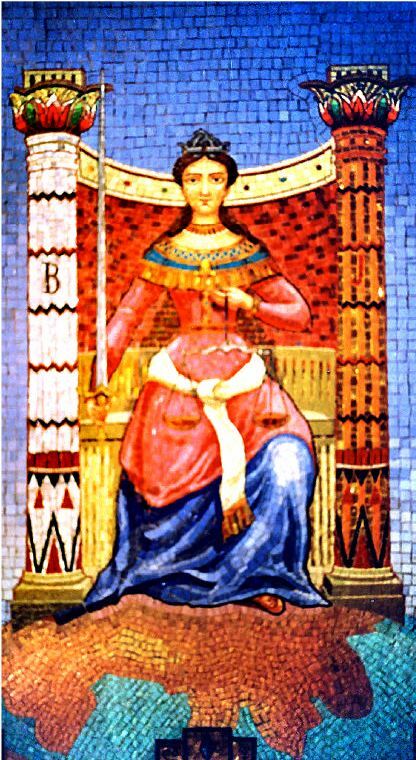 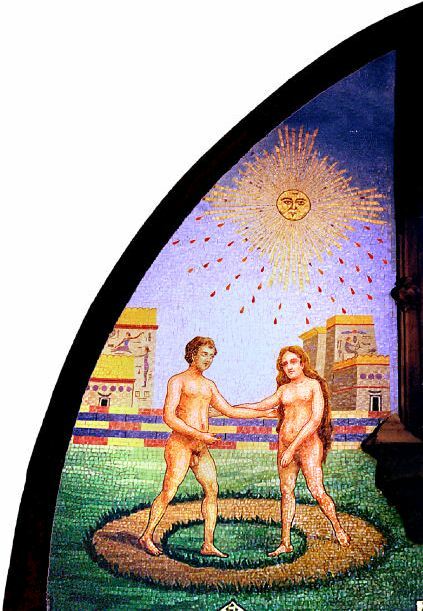 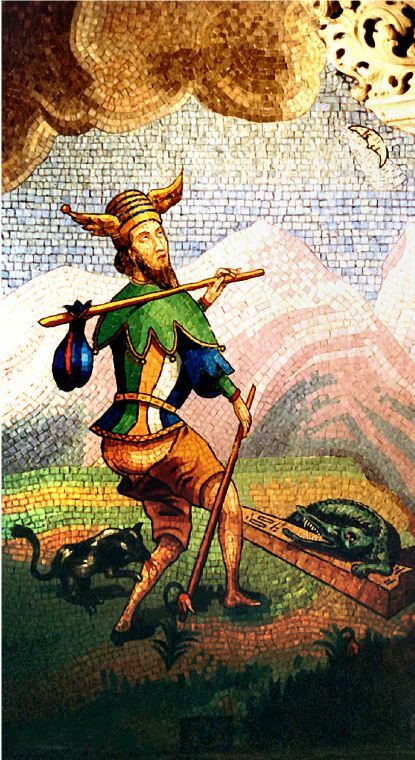 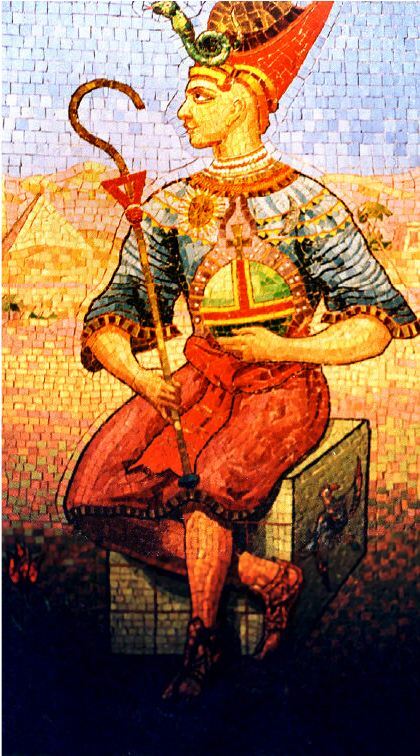 He added a chapel to the castle, whose walls bear the inscription "The universe is an egg, the egg is a Universe" and are covered with mosaics representing the Tarot cards following the style of Oswald Wirth with the symbolism shifted towards Egyptian imagery. 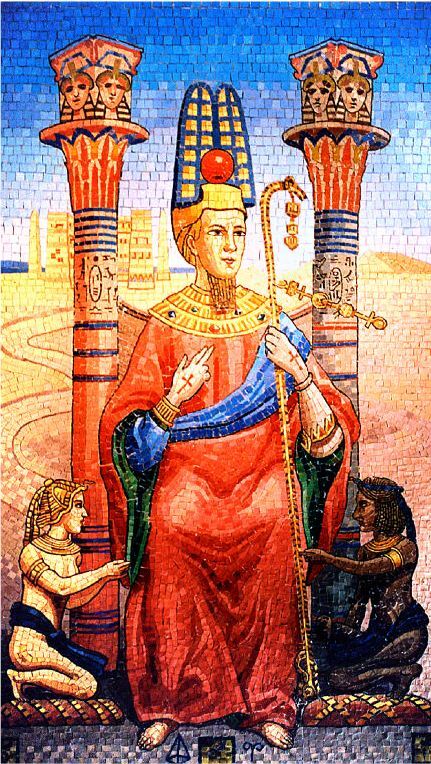 The castle became the meeting place for Parisian high society, who come to discuss philosophy, esotericism and Egyptology.